Do you want to take your already established and built-up Skyrim character with you on your laptop or transfer the saved data to a new more powerful PC? No problem, let’s show you how it’s done. Note: This only works on the PC version. 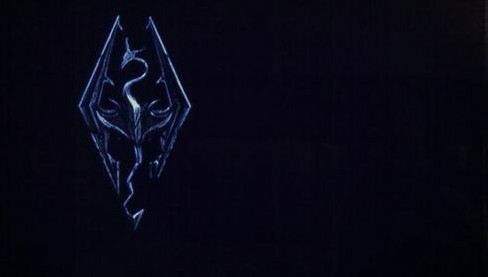 Make sure Skyrim is installed on both machines prior to transferring. On the 1st PC navigate to MyDocuments → Games → Skyrim → Saves. Note: Your “Games” folder may be named ‘MyGames’ or something similar. Copy the contents to a portable device (ie flash drive). Paste the contents on the 2nd PC in the ‘Saves’ folder. That’s all there is to it. Load up the game and you should have the saved content available. If you enjoyed or found this article useful, please show us some support by liking us on Facebook or by sharing us on your favorite social website. Thanks! @Courkai – Thanks for the info. I copied and pasted the save file along with everything in the skyrim folder in (my games) folder and i put the file i copied on my other laptop but when i enter the game the load button is still grey, what should i do? @Brett – Double check that you’re pasting the saves in the correct folder. If Load is greyed out, then the game isn’t recognizing that saves exist in that folder. So i played Skyrim on my own computer and my friend invited me to play at his house. So i took my saves from my PC and pasted on his PC. We did this a couple times (Me going to his house and playing) but one day i did what i normally did, but when i started Skyrim (On his computer) it didnt show my saves. It still showed my old saves but not the saves that i just copy pasted from my USB. HELP, I DON’T KNOW WHAT TO DO! Plese help me. It shows me “This save relies on content that is no longer present. Some objects may no longer be available. Continue loading?” If I choose Yes game is loading and then it quits. @will – Glad we could help! @edison – If you are transferring (moving) your Skyrim saves to a different PC, then you will need to paste the contents onto that PC. That’s what the 3rd step is referring to. Hope that clears it up, thanks for asking! I DID NOT UNDERSTAND YOUR 3RD STEP. @Dustynana – Red triangles on the game?? 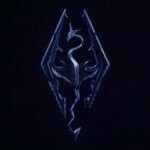 @skyrim cheats – Appreciate it, thanks for reading! Hey there, You’ve done a great job. I’ll certainly digg it and for my part suggest to my friends. I’m confident they will be benefited from this site. i did this and now there are exclamation marks with red triangles everywhere. Glad to help and thanks for letting us know you benefited from the info! Thank you so much. I have been search all over the internet trying to find out how to do this. Glad the info was useful, thanks for commenting! Thanks for this. Its good to know that you can still get great info like this on the web. @Sheffey – Thanks for the comment.. and the chuckle! I thought Shadow was being sarcastic, but after a couple of minutes of digging around in my Steam folder, I tried chief_geek’s advice just for shits and giggles, and by God, there they were. Great tip! Get all sorts of info on giveaways, special event coverage, promotions and other blog features, delivered to your email inbox! Visit GeekITDown's profile on Pinterest.